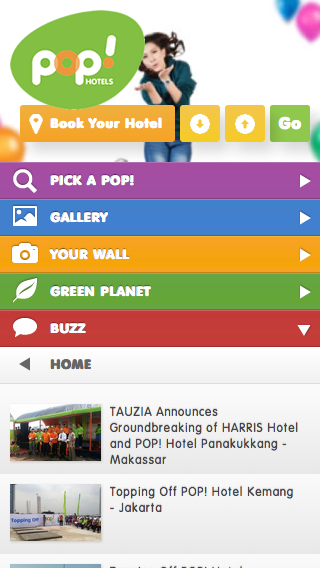 Collaboration with Tauzia to provide hotel services on site POP Hotels. People can book a hotel with maximum service. Looking at the various activities and promotions provided by the hotel. Facilities submit photos of your holiday selfie also be provided on this site. We cooperate with Tauzia Management to create a bilingual website.